To obtain a truly sharp edge, you must hand sharpen your Japanese knives with Japanese water stones. The process of sharpening on a stone is not unlike sanding wood; the whetstone scratches away material from the blade in stages to shape and polish the metal to an acute edge. Water stones come in a broad range of grits, from very rough to fine, for this purpose. They are referred to as water stones as water is the lubricant adding the sharpening process. A medium (#800-2000) stone is essential for establishing an edge and for bringing up the even burr necessary for sharpening. Larger stones provide wider sharpening area. 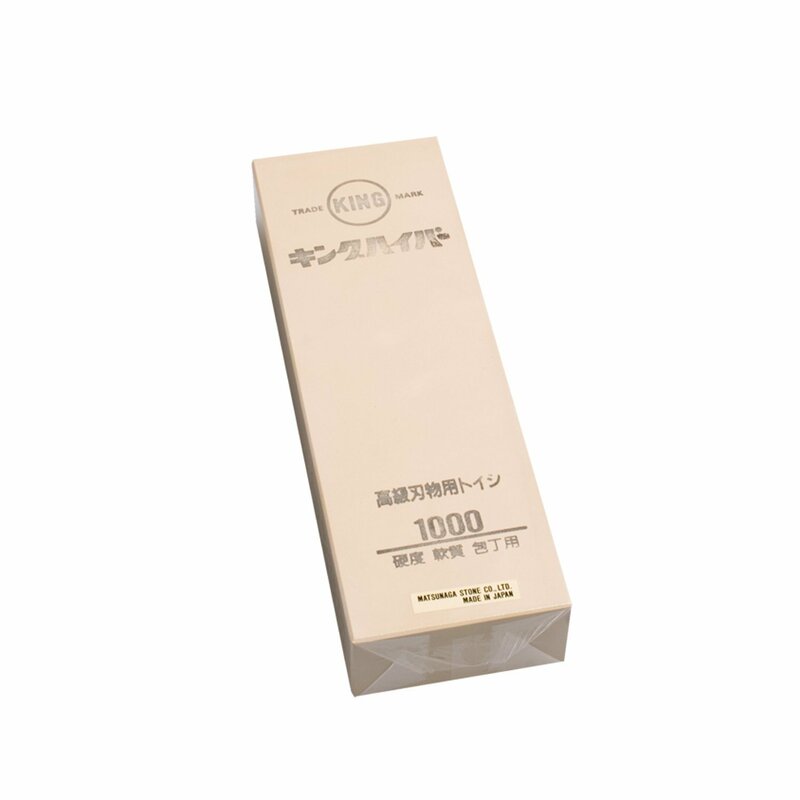 Our standard synthetic sharpening stones, made from materials such as Aluminum and Silicon Carbide, are versatile and easy to use. They are suitable for a wide variety of knife steels. With use, a synthetic stone will become slightly concave in the middle and, as a flat surface is necessary for sharpening, they need to be leveled out routinely with a stone fixer. Synthetic stones must be soaked in water for 10 minutes before use.